While we are massive fans of France (yes, the clue’s in our name), we know too that there are wonderful alternatives. It’s certainly true that too much of a good thing can be, well, a bad thing - a little variety creates perspective and adds light and shade. So we felt the time was right to extend our horizons, ever so slightly. We thought long and hard about a venture beyond France’s borders. We were keen to avoid offering something which was ‘similar to France but not French’. And also adamant that we would not suddenly be operating holidays to far flung corners of the world. After over 30 years as French specialists, and much deliberation, we decided that Andalucia fitted the bill: a destination deep in the south of Spain, a region truly with its own identity and its own charms. Not to mention wonderful climate, authentic cuisine and colourful history. As you’d expect, we have retained the same principles that have shaped our holidays for many years. 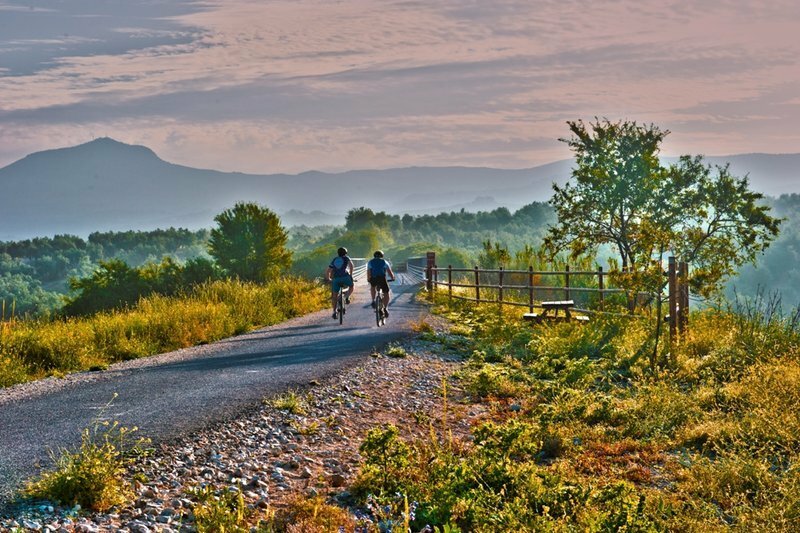 Like France, Spain has much to offer the curious traveller, especially one looking to get to know their surroundings courtesy of a little walking or cycling. Along the coast are the glorious beaches, inland the rolling hills and plains, the groves of citrus and olives. And everywhere a fantastic sunshine record, vibrant towns and laid back sleepy villages. It’s a large country for sure, framed by stunning coastlines. There’s the spectacular scenery of the Costa Brava, with towering cliffs and sheltered coves. The 170 miles of glittering white sand of the Costa Blanca, and the Costa del Sol to the south with its endless sunshine and endless beaches. In the north, on the Atlantic coast, lies the Costa Verde, lush and green and backed by mountains. But we’ve opted to go inland, away from the beach life. To a region famed for its tradition, its iconic white villages and its fascinating history of intertwined faiths: Christianity and Islam. A heady place where you can lose yourself in the scent of fragrant orange blossom and the rhythms of flamenco. Andalucia, for us, is almost a distillation of all things Spanish. This carefully researched and planned holiday itinerary provides a chance to follow the ancient trading route linking Cordoba and Granada, through some of Spain’s most dramatic and unique scenery. 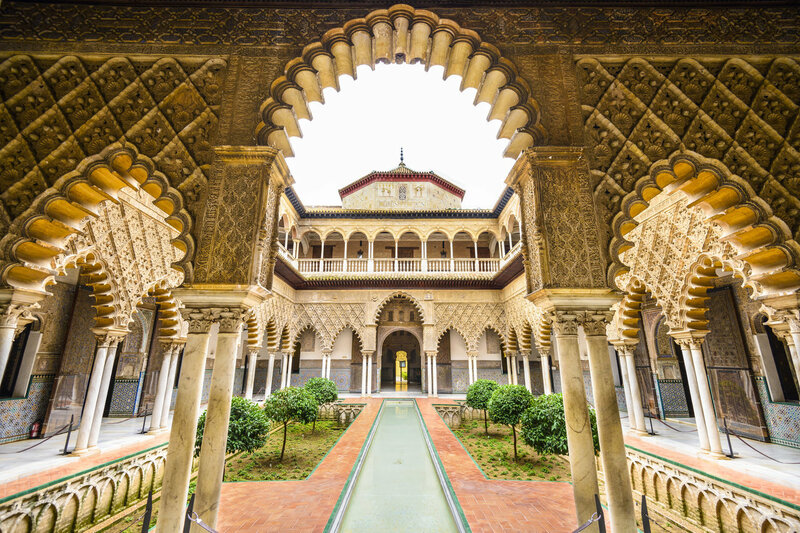 Experience some of Spain greatest treasures - including the Alhambra palace and the Great Mosque of Cordoba (the Mezquita, notable for also being a cathedral, built within the mosque) – while walking through the heart of Andalucia. 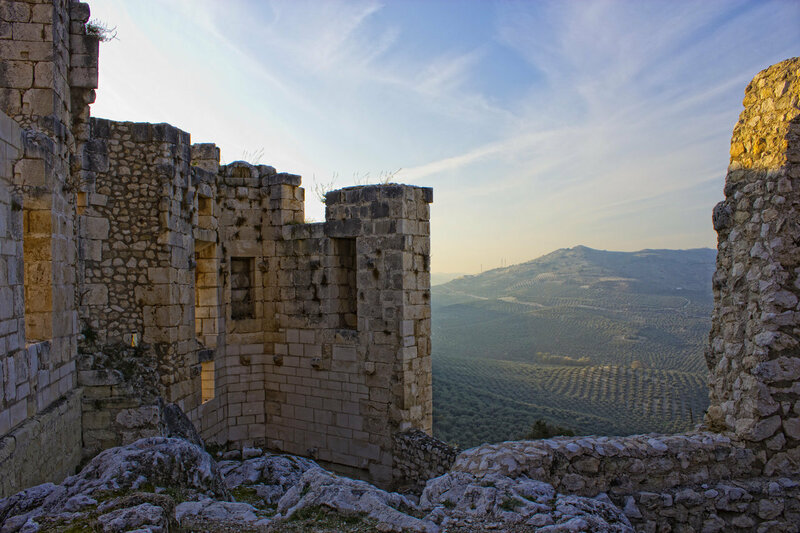 Wander through rugged canyons, shimmering olive groves and the iconic white villages like Moclin and Zuheros. The Sierra Subbética Natural Park, a UNESCO Global Geopark, provides fabulous scenery as you go. Fly to Malaga, connecting train to Cordoba (50 minutes). Why not ask us to book an extra night in Cordoba? It’s hard to choose but we’ve come up with our five must see/must do sights and experiences for Andalucia. 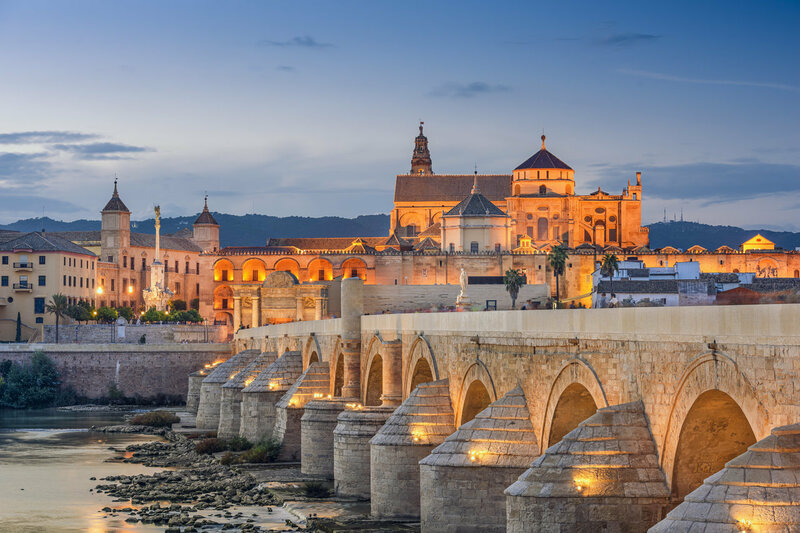 In today’s turbulent, divided world, the Great Mosque or Mezquita is a lesson in reminding us of a time when Jews, Muslims and Christians co-existed and forged a city which became a powerful, successful, culturally rich centre of power and influence. The mosque was built on earlier church foundations, with the added surprise of a Christian cathedral dropped into the centre of the mosque some 500 years ago by King Carlos I. This did affect the original open design of the Moorish architecture but the drama of the innumerable columns and red brick and whitewashed arches remain. One of Spain’s most popular attractions, this stunning gem was originally a defensive fortification, dating from the 9th century, before evolving into a lavish palace for the emirs of Granada. Made up of several fascinating structures and serene gardens, and with the Sierra Nevada mountains as a scenic backdrop, it’s quite a statement. Lying between the vibrant cities of Cordoba, Granada and Seville, this wild expanse has been a natural park since 1988 with both the beautiful landscape and indigenous wildlife protected. Griffon vultures can be seen and also eagles and peregrine falcon, soaring effortlessly high above the craggy peaks and tumbling rivers of the park. A visit to Andalucia would not be complete without a few tapas and a sherry. 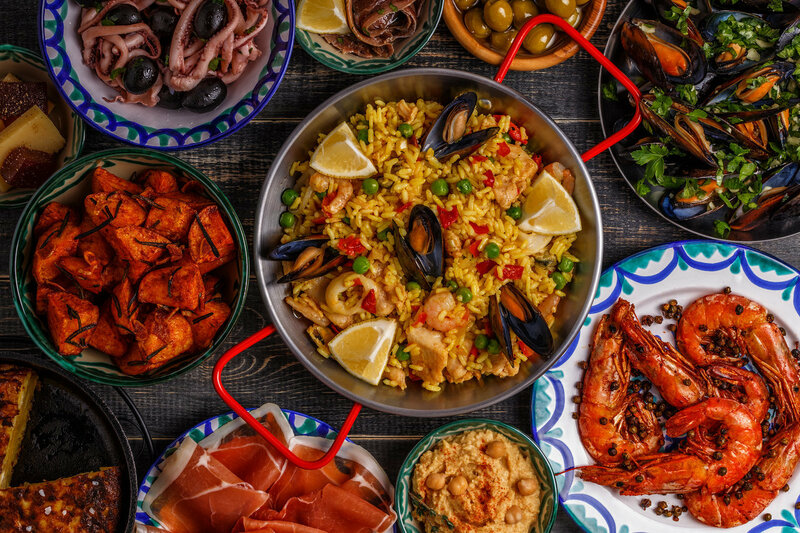 The word tapas means ‘lid’ (thought to stem from the custom of placing a small saucer over one’s glass to keep flies out). Stand at the bar, sample a few tapas and then move on to another bar for a range of different taste sensations. The white villages or ‘pueblos blancos’ are an iconic sight in part of Spain. The chalk-white buildings and brilliant blue skies make quite a visual impact. Zuheros is one of the most famous, set on the edge of the Sierra Subbetica Natural Park, and dates from the 10th century when the first castle was constructed. Check out our other new holidays for 2019.